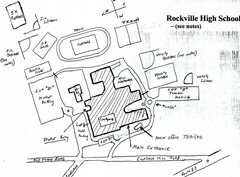 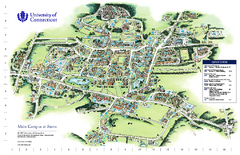 Hand-drawn map of Rockville High School includes all buildings, Parking Lots, and sports fields. 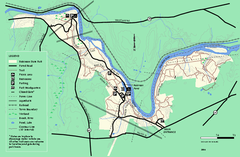 Official Park Map of Six Flags New England in Massachusetts. 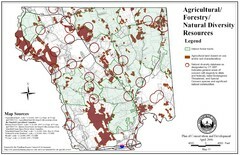 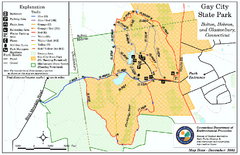 Trail map of Robinson State Park in Massachusetts. 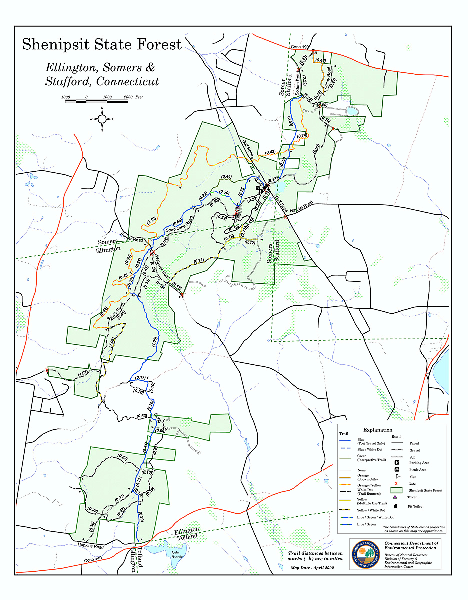 Trail map of Gay City State Park in Connecticut.